Gastown is one of Vancouver’s most vibrant and unique areas. As the first downtown core of the city, the neighbourhood has transitioned into a centre of innovation and truly memorable experiences, for locals and tourists alike, while maintaining a strong connection to its history. Containing something for everyone, Gastown offers a diverse mix of retail and dining options housed within authentic heritage architecture, alongside a vibrant creative and tech scene. 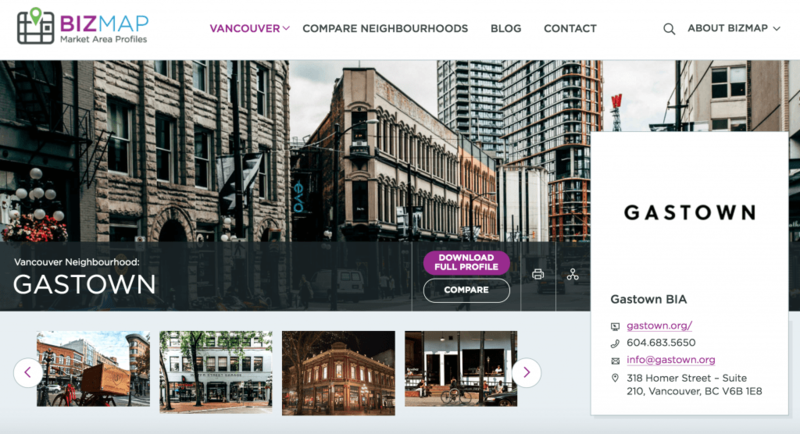 This stylish neighbourhood covers twelve city blocks and the market area is home to approximately 108,128 residents, making it one of the most densely populated areas in the Lower Mainland.